The Consul Leg comfort is a classic, elegant design which would fit into any home. The simple styling, soft fibres and moulded foam with Comfort Zones provide support and comfort to all users. 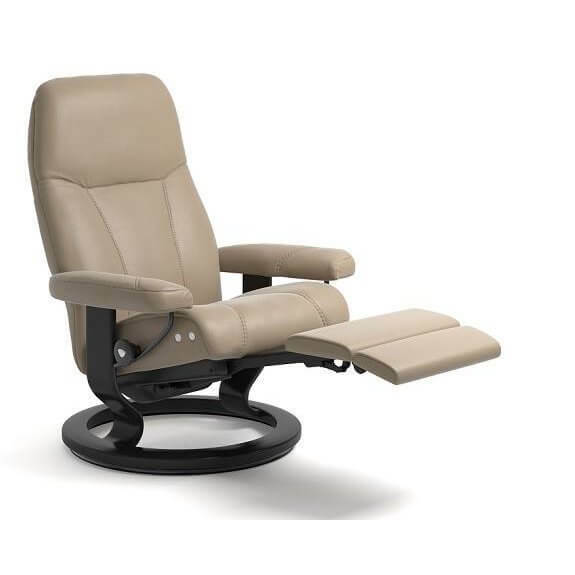 This recliner is available in two different sizes – medium and large.